Cannes Year 5. I'm still amazed that I'm here in Cannes, for my fifth year, kicking off yet another festival in the middle of the summer. Every morning when I wake up and look out the window and realize "I'm living in France for two weeks!" there's an instant giddiness that kicks in - the exact burst of energy I need to wake up for successive 8:30AM (ugh so early!) screenings almost every day for the next 10 days straight. I wrote an effusive article last year about why I love this festival and this town and don't feel the need to repeat it, but I can't help but write something to mark the beginning of the 2013 fest. Now let's go watch some films! Returning to the Cannes Film Festival for my fifth year I've become a regular. I'm now a guide and resource for many newcomers and first-time attendees; many of my colleagues have finally decided to make the big trip this year. Maybe it's the line-up? 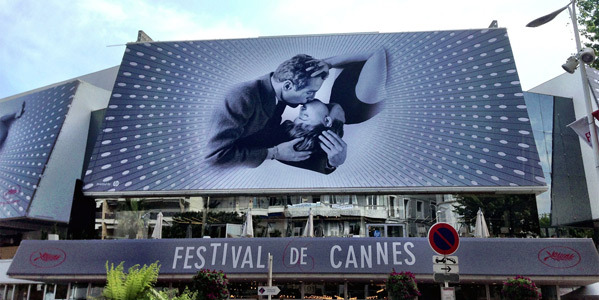 Because many, many people are talking about how this could be the "Most Important Cannes Film Festival In Years". And it's not just about the selection of films - that article refers to the jury, lead by Steven Spielberg, and most importantly the discussions that could arise from the films and filmmakers they did decide to bring here. Those are the kind of discussions I love to see/have. It's also exciting to follow the lead up to the film festival, watching the line-up get announced, then arriving here amidst buzz and discussions already started about what will/won't leave an impact on the Croisette in 2013. I've heard criticisms that I don't belong in Cannes, that I don't enjoy enough of the arthouse fair or experimental filmmakers they champion here. While that may be true for a few, for the most part, that's just not the case. I'm here to discover great filmmakers, to learn and experiment and experience, even if it means I occasionally don't like the film. I would much rather see a film by Reygadas or Ozon or Miike or Escalante and dislike it, than never even attempt to appreciate their work at all. It's part of my growth as a cinephile. But let's get into the films, and what could make this year a vintage one. At the very, very top of my most anticipated list is: Nicolas Winding Refn's Only God Forgives (I was at the 2011 world premiere of Refn's Drive and loved it) as well as the Coen Brothers' Inside Llewyn Davis as a very close second. In addition, I'm very excited to see: Alexander Payne's Nebraska, Asghar Farhadi's The Past (I loved A Separation, Farhadi's last film), Steven Soderbergh's Behind the Candelabra, James Gray's The Immigrant, Sofia Coppola's The Bling Ring, J.C. Chandor's All is Lost, James Franco's As I Lay Dying, and anything else I hear great buzz about, like Alex Van Warmerdam's Borgman (which is supposed to be weird/crazy). Beyond that, we'll have to see where the winds take us. Or what shakes up and what turns out to be good, bad, amazing, horrible, weird, funny, wacky, interesting. The first discussion I had with my good friend Eric Lavallee of IONCinema (his tagline: "Never Mind the Blockbusters, I Heart Subtitles"), who first brought me here five years ago, was: "What will be this year's Holy Motors, this year's Post Tenebras Lux?" It's that wonder, that genuine intrigue, those kind of questions that keep us motivated and excited every day. I may end a night with a bad film, but I go to sleep knowing the next day could be the one we discover a gem. As always, you can find my to-the-second updates/mini-reviews on twitter as @firstshowing constantly throughout this year's festival. I'll also be posting reviews and updates here on the site, as well as photos on Instagram as @abillington. During this year's opening press conference, via Indiewire, juror/filmmaker (and previous Palme d'Or winner) Cristian Mungiu explained: "I'm waiting for a film that can re-invent things and shows us a new way of seeing a film… I'm looking for a certain kind of honesty and courage from a filmmaker… I'm looking forward to seeing films that lead us on a different path." Me too, Cristian, me too. Congrats on year five. Looks like it'll be an awesome time. Glad to see you're ignoring the naysayers on your attendance. You run a hell of a show here and are every bit deserving of the trip. Bring us back some kickass content. Kickass AB. Please make as many videos as possible for your humble fans. 8:30 AM for almost ten days straight?! How will you survive??? ?